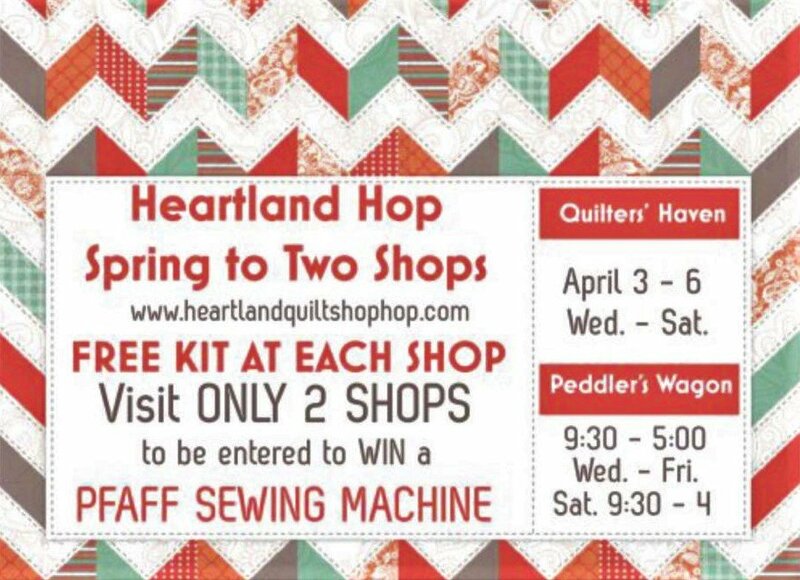 Peddler’s Wagon is a quaint quilt shop nestled in the historic community of Parkville, MO. We offer a welcoming environment with a knowledgeable and friendly staff that is experienced in quilting, embroidery and sewing. Our store is organized for customer convenience with fat quarters, patterns, fabric and samples all neatly displayed and clearly marked, making our products so easy to find! With over 36 years of quilt industry experience, we’re passionate about helping our customers find the supplies they need to create beautiful quilts that will be loved and cherished for years to come! We give 1 every month. More visits, more chances to WIN! !